S. F. Sensibilities was designed to take advantage of a scrumptious Hoffman fat quarter pack (tutti fruitti). 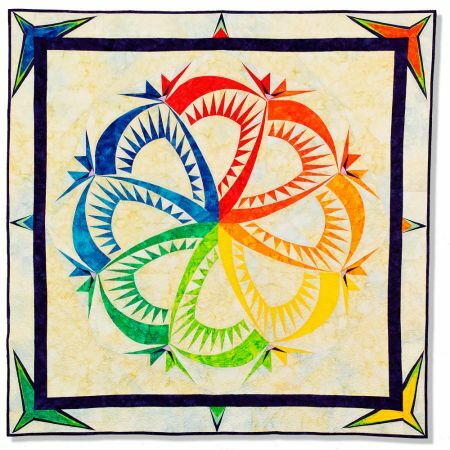 I loved the rainbow effect and wanted to highlight that in the quilt. Approximately 52" x 52"